Mysterious things that unfold with multiple mailings are all the rage, but some are infinitely better than others. Personally, I find those that include a murder with a nice spatter of blood to be among the more interesting. If there’s insanity involved, so much the better. And thus we have The Haunted Dollhouse, a subtle tale of horror which takes place almost a century ago in New Orleans, and which is reliant upon you to do your part: you have to build the house. And there are puzzles to solve, as well, which reveal a narrative of misfortune and murder. What is that enormous bloodstain on the carpet in the parlor? The pieces come delivered in four packages over the course of a month, each box containing items both small and large. 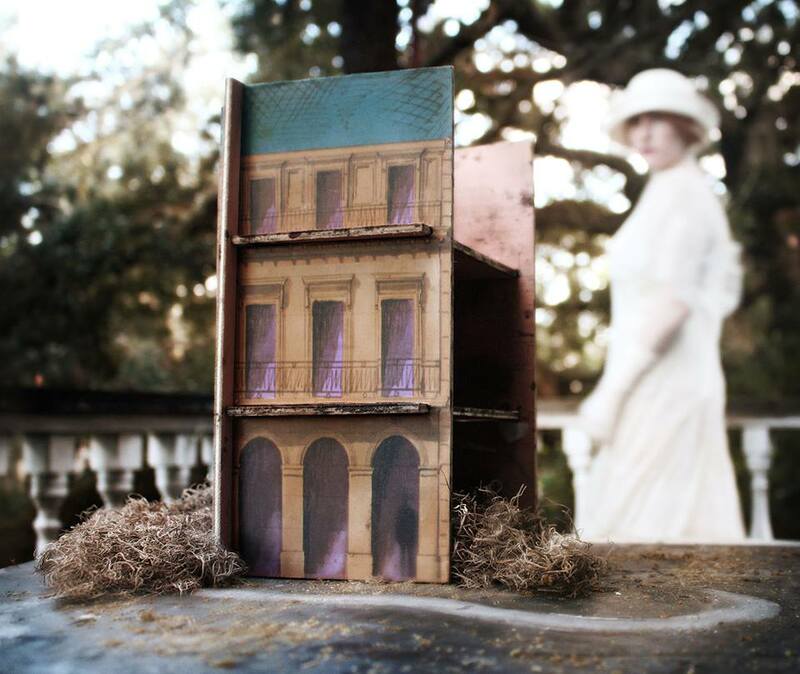 When you’ve put in your time with a straight edge, X-Acto knife, small scissors, and the imaginatively titled “goo,” the end result is a miniature doll house that bears witness to a story of death, madness, and murder which occurred in 1923. Numerous letters, newspaper articles, postcards, and miniature items (I’m quite fond of the bloody pair of scissors) to decorate said house come within the packages, all of which taken together with the house provide clues to a mystery.